Pics first? Maybe a comparison shot if you're able to compare incandescent vs. "cube LED" vs. your LED, within the red lens. I can probably take a picture of OEM vs. my LEDs. I don't have what you call the "cube LED" and to be honest I'm not even sure what you mean by that. The obvious difference is that with the bulb you only have a single point of light. With my lights there are 8 LEDs with three chips each. That means you have 24 points of light. It is bright and I like it but I'm not sure if everyone will agree. "Saw deer scattering 40 yards behind when backing out of the shop"
"Brake lights that summon demons after dark"
"As if a DeLorean wasn't visible enough..."
Yep, you made it bright as day That's how I like it too. Blinker mod, but unless you have a source on clear housings, I gotta stay with 1 set yellow, 1 set red, no white at all because the lenses don't work with it. Blinker mod for both. Hell I'll pre-order if it helps. That's exactly what I'm planning on doing. I would actually like to make all of the lights with a clear lens. Those are the only points of color on the car and I'd love to remove that color. That is still a future project though. Also remember guys, LED's don't burn out, they instead have half-lives of brightness. What I'm getting at is if you're on the fence because you think it might be too bright, it will, via natural use, dim to a level of your liking. Slowly, but it will dim, so give it a chance. I'll try and take some side-by-side pictures soon. I don't have what you call the "cube LED" and to be honest I'm not even sure what you mean by that. I would actually like to make all of the lights with a clear lens. Those are the only points of color on the car and I'd love to remove that color. That is still a future project though. I've had the exact same thought (heck, if you go to my business site it still shows my rendering about it on the taillights), and even started to follow through with it, but quickly realized doing so would get you pulled over in all 50 US states for one simple reason: by US DOT laws, reflectors must be colored appropriately. White is not a legal reflector color here in the US for any part of your car. Until I can figure out a way to appear white but reflect red, amber, etc., I can't truly make my car as colorless as I want. Even if I did buy a set of taililghts with completely faded turn signals on them from a guy in Canada (seriously, I did). And if you know of a way, let me know and you'll save me like 3 years of R&D. I don't have those, I don't like those. The main reason is that they are passive devices with no active current regulation. It's just five LEDs with a resistor. With highly unstable voltage in a car the current will vary widely. Every single one of those fails way before they're predicted lifetime. They either dim quite quickly or simply start flickering and then just die. That is why I decided to build my own using active current source. Regardless what happens with the supply voltage the LEDs always receive exactly what they need. My lights require cutting the back of the light off but you get 8 LEDs instead of 5 and as said above, the current is actively controlled. Instead of a single point of light my design gives you four LEDs directed straight out plus two on each side to light up the reflectors. The effect is really nice. [cut]...quickly realized doing so would get you pulled over in all 50 US states for one simple reason: by US DOT laws, reflectors must be colored appropriately. White is not a legal reflector color here in the US for any part of your car. Until I can figure out a way to appear white but reflect red, amber, etc., I can't truly make my car as colorless as I want. Well, you can't have a reflector that appears white but reflects red. It's physically not possible because what you are seeing is a reflected light anyway. Regardless of the source of the light (sun, street lights, car headlights) the light is always reflected. You can't have a reflector that only reflects one color from a chosen source of light. It will always reflect your chosen color regardless of how you illuminate it. What you can do is look at some taillights from different manufacturers out there. 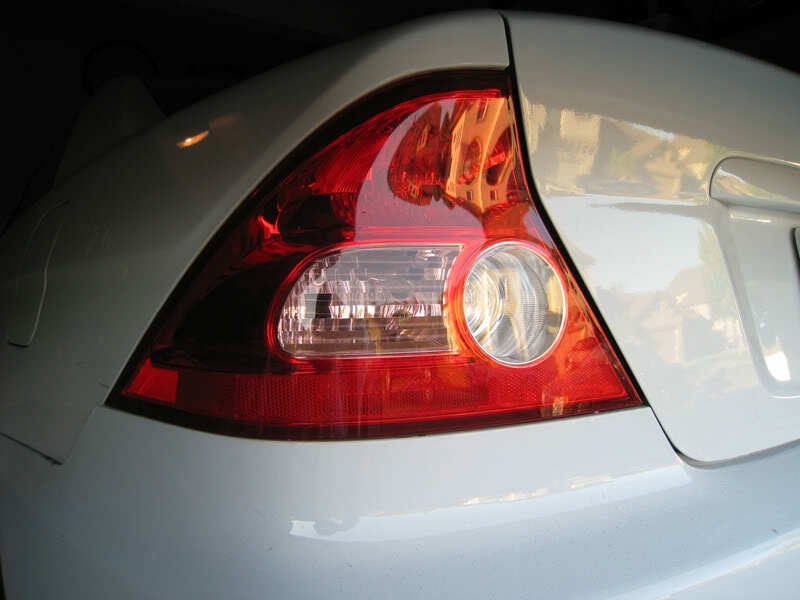 You can have a clear taillight with a red reflector that is not even a part of the taillight. Notice the clear taillights and a small red reflector mounted just above the exhaust. Works for me and keeps the authorities happy. As far as I know the side markers do not need to be reflective. You don't even need to have them at all. Did I just save you 3 years? 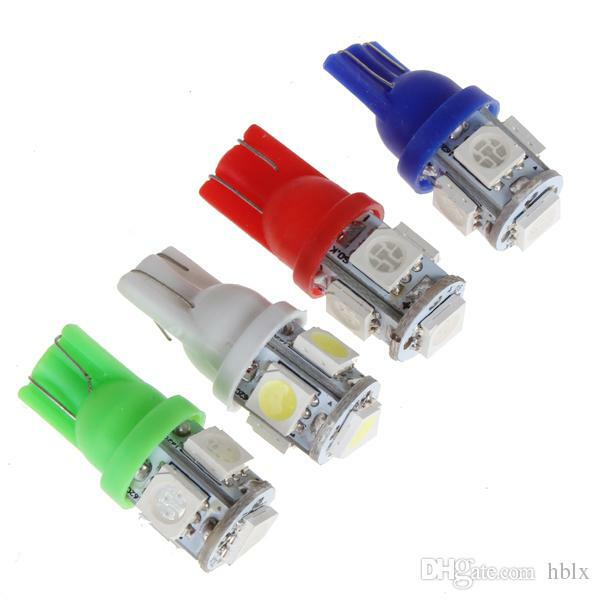 LED cube: they're too small to be of useful design, I'm with you on that, but they are still noticeably brighter than stock bulbs, that's kinda what I was saying would be nice to see the different improvement. I'm sensing there might be some "cube vs. new design" here, let me put it this way: cube only grabs attention at night. In daytime, It's visible, but it's really hard to say how many people notice it. Personally give it a bit of sun and yeah it's washed out. I am holding out for your LED setup, but pitched the idea of an LED cube because it's commonly recommended around here, and is another reference point for people to say "wow, it's SO much brighter!" Removing all color from the car comes down to the taillights. Ultimately, lens color can be eradicated, as the car you posted clearly demonstrates. DOT requires red reflectors in rear and amber reflectors in front. Front reflectors are basically never enforced if missing, rear ones though tend to attract the attention of the profiling cops who will use that as a reason for a visual inspection or stop. The problem in practice is that you're still left with the reflector itself, which is colored red. Frankly, I don't like the thought of the middle column of red being the only one with red in it by sheer default of that's the one that needs it, and everywhere else is just a terrible idea. Reflectors are a taillight part, I need to keep it as such. Come to think of it, I do wonder what keeping the reflector red but not quite "reflects red" looks like. That's the point at which I've gone too far and need to add more red. I need to experiment, but the reflectors are key, and 3D printing them didn't pan out, so I'm still figuring out a way to make some at low quantities in-house. FWIW, in the US, 1968 and later vehicles had to have side lights OR retroreflectors. Then the US and Canada required both for 1970 and later vehicles. Do you have a "from the source" on this? God help me, old vehicle laws are just not easy to find on Google. Only spot I have that defines allowable headlight lumens comes from Google Books, for example (I was curious on LED conversions). I wasn't aware of that law. I know that they are required on vehicles over certain length (trucks and buses) but didn't know it also applied to passenger cars. Over in Europe it's a different story. The side markers are required on long vehicles and are allowed on cars - allowed meaning that you can have them but don't have to. The turn signal section is divided in half vertically, and it's the bottom half, just to the left of the chrome circle thing.